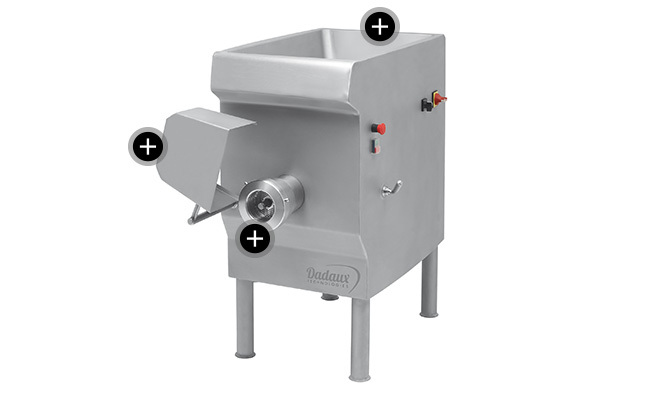 We offer a wide range of laboratory cutters: manual mincer, mixer grinder, automatic mincer. With their high quality finish and appearance, they provide you with finely minced meat in total hygiene, and help stimulate your sales. Very large throughput : 25-30 kg/min. Swivelling protective grate to make cleaning easier | Hopper 50 l.
Very large throughput: 25-30 kg/min.